When he was offered charge of the parish of St Stephen Walbrook, in the summer of 1953 he knew that the time was right for him to launch what he called a “999 for the suicidal”. 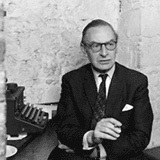 Samaritans was started in 1953 in London by a young vicar named Chad Varah, then incumbent of St Stephen Walbrook. Through his work in a number of different parishes in the City he had seen the range and extent of the distress experienced by people everywhere, every day. During his career he had offered counselling to his parishioners, and he increasingly wanted to do something specific to help people in distress who had no one to turn to. He makes reference to one example of a girl aged 14, whom he had buried – in unconsecrated ground. She had started her periods, but having no one to talk to believed that she had a sexually transmitted disease and took her own life. He says, “I might have dedicated myself to suicide prevention then and there, providing a network of people you could ‘ask’ about anything, however embarrassing, but I didn’t come to that until later”. When he was offered charge of the parish of St Stephen Walbrook, in the summer of 1953 he knew that the time was right for him to launch what he called a “999 for the suicidal”. At the time, suicide was still illegal in the UK and so many people who were in difficult situations and who felt suicidal were unable to talk to anyone about it without worrying about the consequences. A confidential emergency service for people “in distress who need spiritual aid” was what Chad felt was needed to address the problems he saw around him. He was, in his own words, “a man willing to listen, with a base and an emergency telephone”. 15 years after the emergency 999 number was set up, the number MAN 9000 was chosen for the helpline – to signify a human emergency number. Luckily the number of the church was MANsion house 9000. It was the first, and is still probably the best known telephone helpline in the UK. The first call to the new service was made on 2nd November 1953 and this date is recognised as Samaritans’ official birthday. However, in two key respects, the service did not become Samaritans as it is known today until a few months later. In order to supplement his income, Chad wrote and illustrated articles for children’s comics like the Daily Eagle so he knew many of the journalists who worked on national newspapers. He had achieved a lot of publicity for the service by telling his contacts about the new service and The Daily Mirror gave it a name which was quickly adopted by other media and the public. On December 7th, 1953, it coined the term, “Telephone Good Samaritans” and although Samaritans is not a religious organisation, the name has stuck and become synonymous with the idea of people being there for others in emotional distress. The publicity meant that within a few weeks it was clear that Chad would not be able to cope on his own, such was the demand for both phone and face to face support. But the newspaper coverage had attracted volunteers as well as clients. Their official duties were to provide tea and coffee and sit with the clients, offering them someone to chat to whilst they waited for their appointment. However, it soon became clear that their role was much more central to the service. Often, the clients would pour out their problems to these ‘receptionists’ and many felt no need to speak to Chad afterwards, or intimated that it had been helpful to talk about how they were feeling. Chad began to understand that the action of speaking to someone they did not know, who would simply listen to what they had to say, could be beneficial for people in distress. Because the volunteers were not known to the clients, they were able to be more honest and open about their feelings and they did not feel judged as they might have by a professional or someone they knew, while the volunteers, who were not trained at this time, would not interrupt and felt unable to offer advice. Inadvertently, some years before the benefits of counselling as we now know it were widely recognised, Samaritans was able to give people a space where they could potentially find objectivity and perhaps a way forward, through being listened to. The emotional support services offered by Samaritans today is based on these same principles. In February 1954, Chad officially handed over the task of supporting the callers to the volunteers and Samaritans, based on the principles that it is today was born. From then Chad became known as the ‘Director’ and he continued to be in charge of many aspects of the service such as selecting and training volunteers until 1974. His involvement with Samaritans has continued through the years, primarily working on developing a network of international support services to mirror Samaritans’ work in the UK but also in shaping the organisation. Photo above courtesy of Victor Aberdeen.